A document in PouchDB can be updated by using the (_rev). A _rev is generated when we create a document in PouchDB. It is called revision marker. The _rev's value is a unique random number, each time we make changes to the document the value of _rev is changed. To update a document, we have to retrieve _rev value of the document which we want to update. Now, place the contents that are to be updated along with the retrieved _rev value in a new document, and finally insert this document in PouchDB using the put() method. First retrieve the data from the document to get its _rev number. 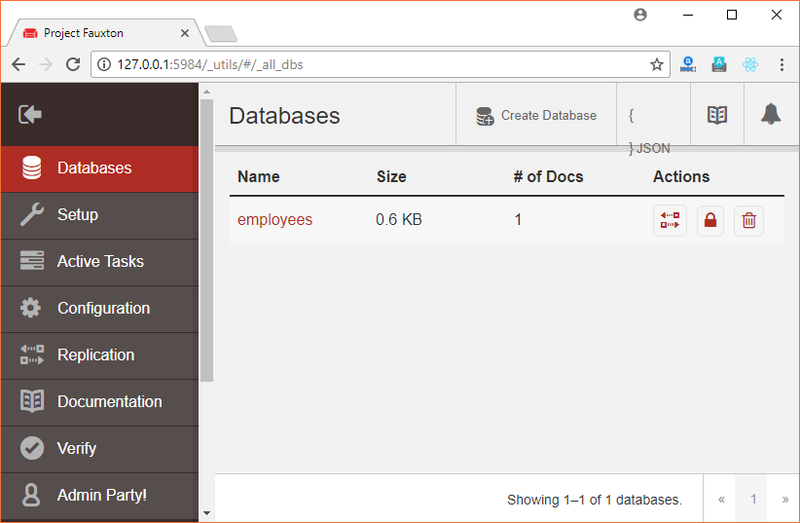 You can update an existing document in a database which is stored remotely on CouchDB Server. For this, you have to pass the path of the database which contains the document that you want to update. We have a database named "employees" on the CouchDB Server. By clicking on "employees", you will find that it has a document. 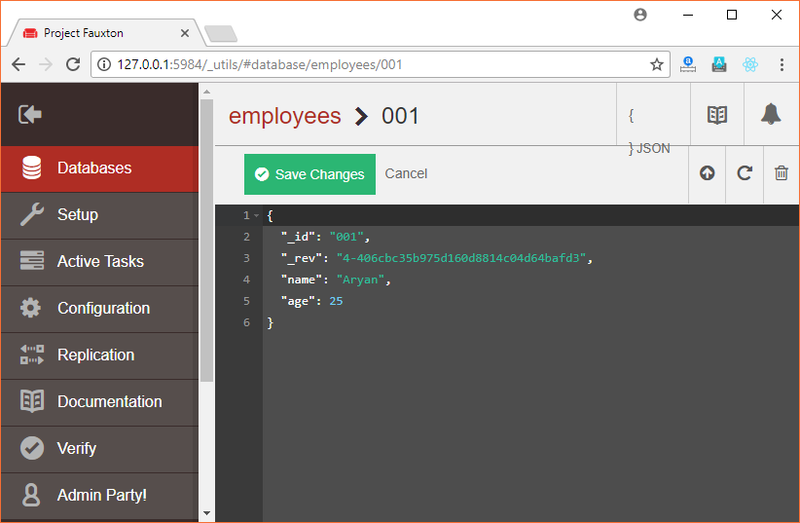 Let's update name and age of the document having id "001" that exists in database "employees" and stored on CouchDB Server. You can also see that document has been successfully changed on CouchDB server.